This has baffled me for years, it just not common sense or logical to buy Real Estate overseas. I have been trying to understand why crazy Americans and Europeans need to come to paradise and spoil it by making the truly idiot decision to buy a home. The list of reason it is why it is idiocy is below, or why this is incredibly dangerous, therefore foolish and not ready for prime time non-savvy person does it anyway. For 50-70 years a person in the USA has been buying anything and everything, he or she, the family is addicted, their who world revolves around buying. This is the type of person who goes on a buying tour to Chicago to visit the malls. An in may ways related to the people who go to Vegas to the gamble. Their vice is continuously purchasing, they never question their motive or thoughts, to buy is to exist. And let me admit this, the general public, the rabble, the proletariat need to be induced to buy products to progress, not recess (recession) the USA economy. Governments have lotteries to induce good money to be used in foolish ways. What percentage of MOVE Overseas to Live Abroad have this doom-to-failure mentality? No way to know for sure, my estimate is 90 percent, 10 percent of the people do not buy Real Estate, however 9 percent are not financially, emotionally, or organized to get the job done, too busy drinking and smoking dope. Me, I am now looking for highly over-developed land scam locations like in Ecuador, Panama, Costa Rica, Dominican Republic, Colombia, Thailand etc. Where tons of foolish people went and built homes, because they hate the country and gave up and went home, the house is on th market for 3-10 years, slow markets. - One Percent Rule - The Mortgage would 3000 USD to retire debt service. 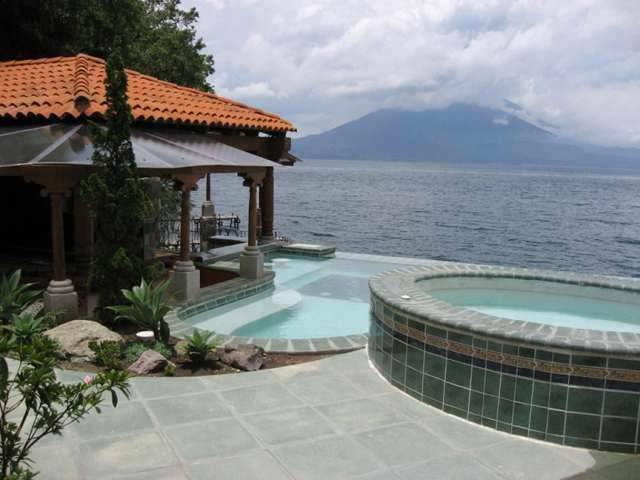 Rental Property: This property should NEEDS to rent for 3000 USD to be efficient use of cash. I rent for 300 USD per month, it is the leverage of foolish purchases to the max, and fun. I can live like a king, and they allow this, why, because the paid cash and do not have a monthly payment, the do not have pressure and are bad a math. Do the Math, look up Cap Rate, etc. 2. Too cheap to refuse, maybe under 5K. 3. Proof of wealth, the truly mega rich buying Real Estate, building with truly disposable money this is a good reason to buy or build a home overseas. 5. Attorney paperwork is bad. 6. The market was an trendy tourist market, they open a new one and your becomes stagnant. 7. Buying from people acting as agents with no knowledge or ability to sell. 8. You are not a citizen of the country, you bundle of right disallows you from being able to enforce laws. 9. The need to squat on the property to keep it, often when people return the property is stripped or in another persons name. 10. At the minimum, it is a 10 year commitment. 11. You are investing in the local currency. 13. Family has trouble selling upon death. 14. The wife absconds with the property. 15. Need to put title in locals name, and they steal. 16. Have to get a residency visa.